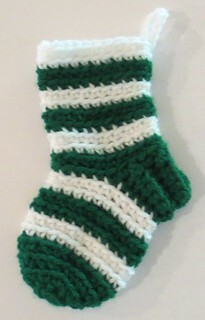 Here are a few mini cuffed stockings which were crocheted using the free mini cuffed Christmas stocking pattern. 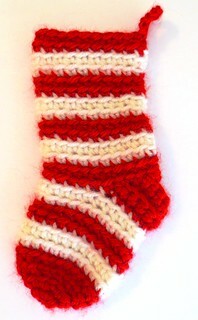 This is another fun and easy little pattern for crocheting mini Christmas stockings that results in a stocking about 6 inches long from top to toe. 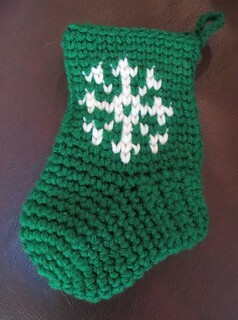 And finally here is a waistcoat stitch stocking crocheted with a snowflake. 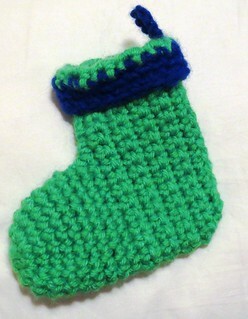 I crocheted this stocking using this waistcoat pattern but only in the charted area. I find working the waistcoat stitch only in the chart area much easier and my fingers are happier for it. 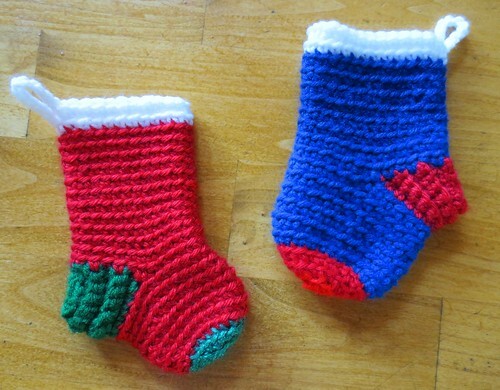 Well that wraps up this mini Christmas stocking parade. 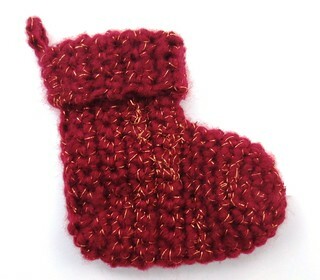 I hope you will check out some of the free mini stocking patterns I shared and crochet yourself, your family or support our troops using these crochet patterns. Wow, die Socken schauen so unglaublich süß aus!